iNaturalist is the world’s biggest and most import tool for sharing nature in your backyard, wherever you live. 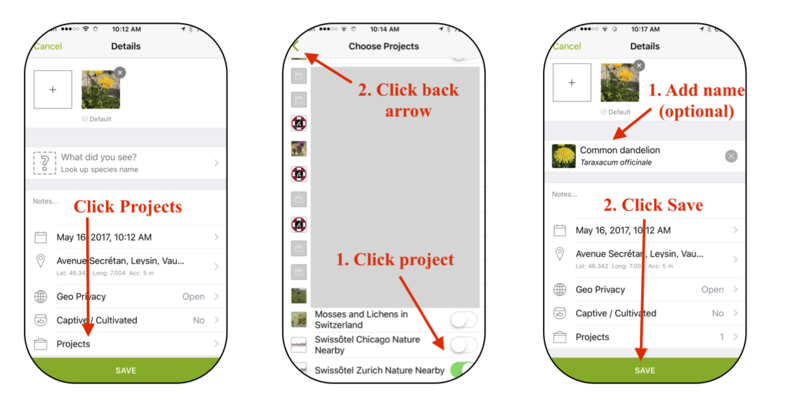 With this easy-to-use app for your smartphone (or use it on your computer instead), your photos can become “observations” to record biodiversity and phenology in your area. By making these observations you’re contributing to real science, which makes you a Citizen Scientist. 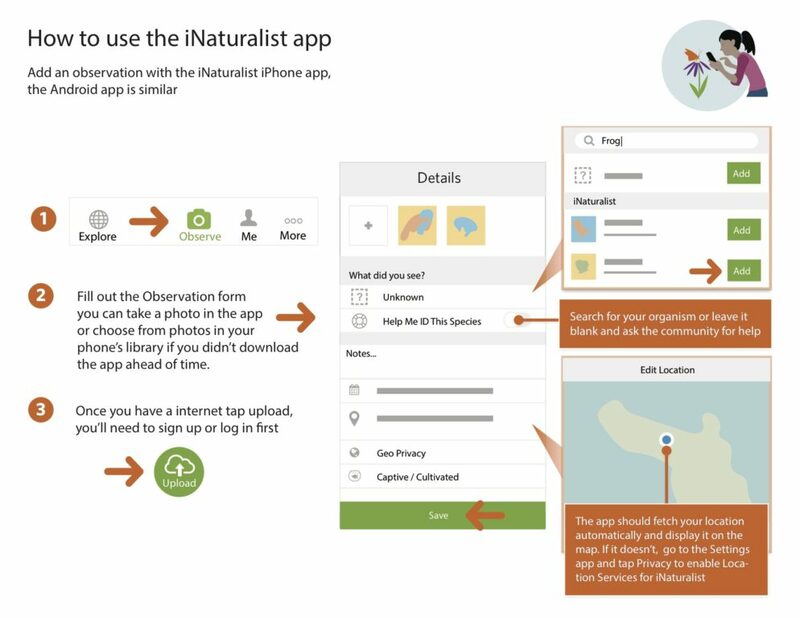 The first steps are to download the iNaturalist app from Apple or Google and sign up. After that we invite you join your local project to share observations with fellow guests, your loyal Swissôtel staff, and our neighborhood friends. Download iNaturalist on your iPhone or on your Android and sign up. On your computer, click “Projects”, search for Swissôtel _____ (name of city), then click “Join project” in the top right. 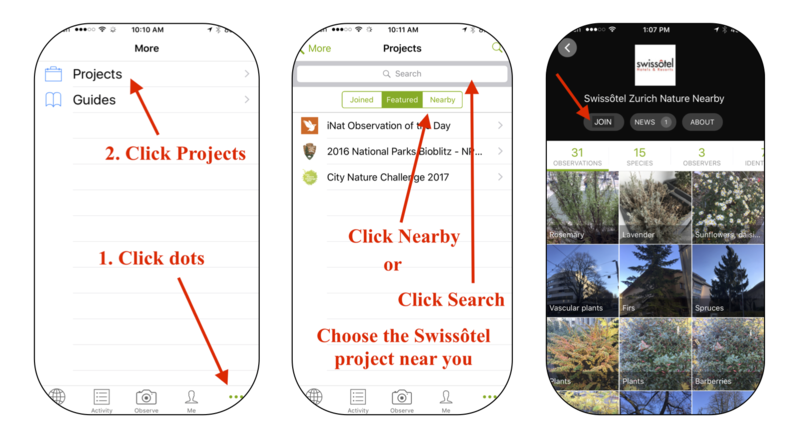 On your phone, click the 3 dots in the bottom right, then click “Nearby projects” and click Swissôtel ____ (or click “Search” and enter Swissôtel _____). First click “Projects” in top menu. Second, type “Swissôtel” to choose the project near you. Step 3 is to choose the Swissôtel project you want to join. On your computer, click “Join this project” in top right. On your phone: 1) click 3 dots, 2) click Projects, 3) select a Nearby project or search for Swissôtel project near you, 4) join project. To add and observation to a project you already belong to: 1) click Projects, 2) choose Project, 3) click back arrow, 4) click Save. Do you want to see ALL the iNaturalist Observations in your area? This is a great way to learn your local plants and animals. Open your local Swissôtel Nature Nearby project. Click on Layers inside the map, then click “All observations”. Voila, you can view all the observations that you and others have posted regardless of whether they’ve already joined the Swissôtel Nearby Nature Project. 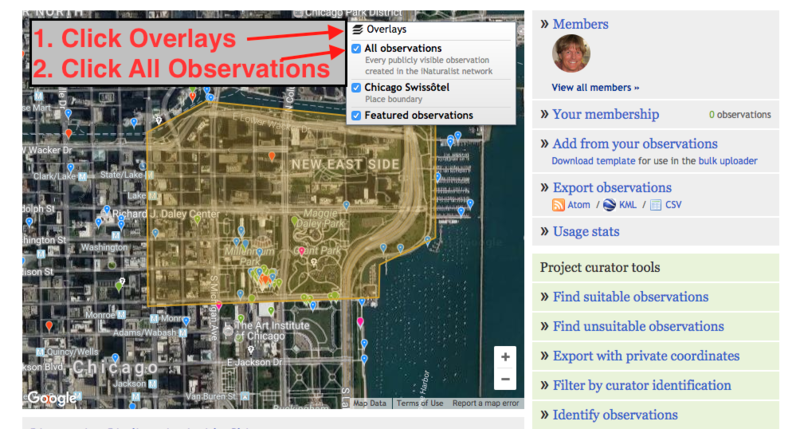 Try it for: Zurich Switzerland, Merchant Court Singapore, Chicago U.S.A..
View ALL your nearby observations by 1) clicking the “Layers” symbol in the map, 2) clicking “All observations”. Video tutorials on iNaturalist on the iNaturalist website. Choose videos for iPhone, Android, or the computer. Getting Started Guide on the iNaturalist website. Lots of great help for starting out with iNaturalist.